We are releasing an invasive species series, an update the S&TC river invertebrate app, so users can now identify creatures in their rivers that shouldn’t be there! 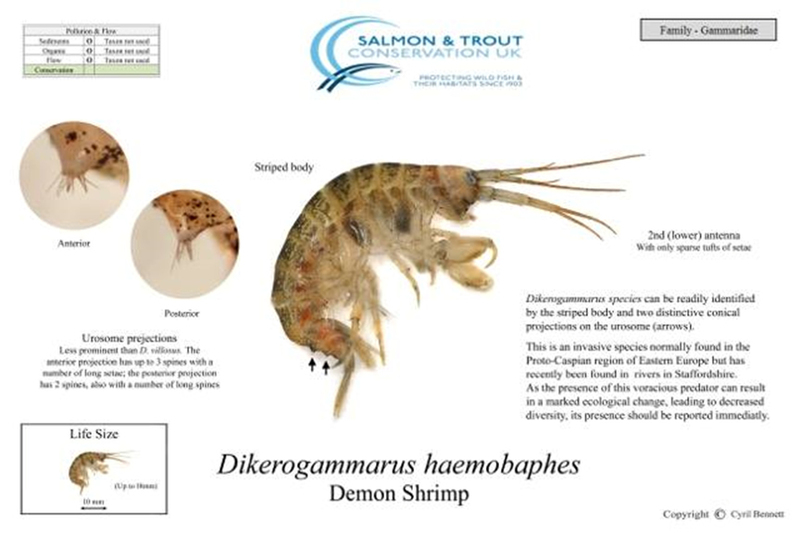 The update contains detailed images on two non-native shrimp – the demon shrimp and the killer shrimp. These shrimps are very bad news for our native shrimp (Gammarus pulex) as they destroy habitats and out-compete them for survival. Let us know of any sightings of these aliens and report them to your local Environment Agency as a matter of urgency. For all water users, by simply following the Check Clean Dry process – you can do your bit to stop the spread of invasive species. Find out more about our app and download it.